The Eindhoven Diabetes Education Simulator (eDES) provides diabetes patients with an educational, evidence-based, individualized simulator they can use to practice with the most important influences on their glucose levels. Patients can play real life situations, collecting advice on how to perform better. If they achieve to keep their blood glucose within the safe boundaries, they are allowed to pass to the next level in which the situations become more complex. 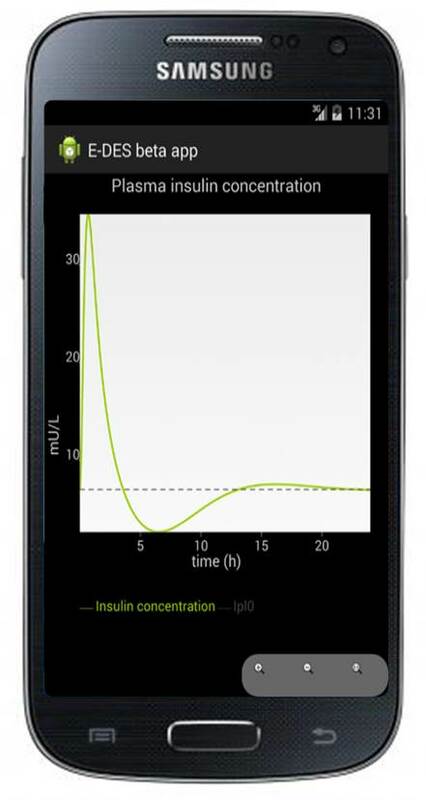 The heart of the simulator is a physiology-based mathematical model that can predict glucose and insulin concentrations over a 24-hour period after intake of meals and insulin injections. The model has been implemented in a computer game for tablet computers: SugarVita . eDES is developed by Eindhoven University of Technology and Máxima Medisch Centrum, in Eindhoven, the Netherlands.